"We have just recorded an EP. Basically just as we speak we’re sort of signing off on the last mixes, we’re going to mastering tomorrow, I think. So that’s going to come out in the fall and that will sort of elongate the whole album cycle. 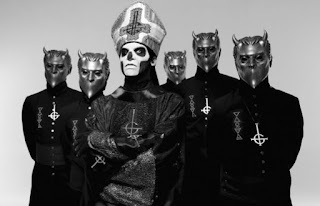 Because it’s like, this EP is still sort of within the same super-urban dystopia, Papa III, art deco, same thing, but it’s going to be more extended and bigger and better."